We did a little story telling tour in Louisville with the kids. This next picture is my old childhood house. When we pulled up, the new owners were coming home and let us look around inside! They did an awesome job restoring the house. I still remembered where to step on the stairs so they wouldn't creak, a great talent for not waking your mom (who had eagle ears) when coming home too late. White Castle Stuffing...Merry Christmas to me! Well, it's true. We went and did it! 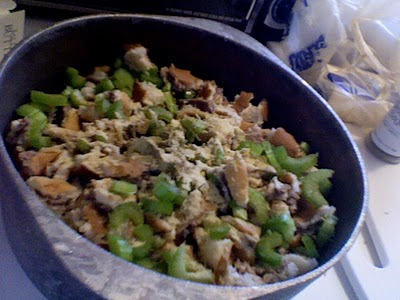 We made the famous White Castle stuffing for Christmas dinner. Oh my gosh, it was sooooo good. I just riffed off a simple recipe online HERE but I will show you the beautiful process in pictures here. 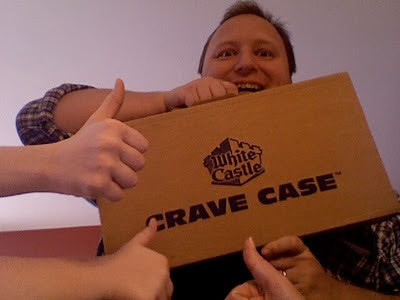 First, you get yourself a big suitcase full of White Castle hamburgers (best if you say "no pickles"). 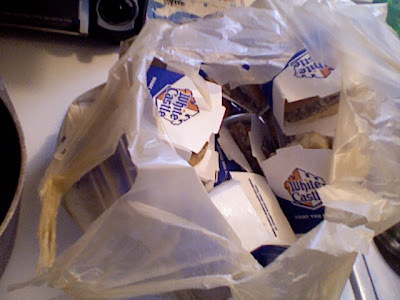 If you haven't had a White Castle, they are awesome. You know the 'sliders' craze going around at other fast food joints? Well, these are the original and the only ones that really slide down. They have an unparalleled steamy consistency...steam grilled with little chopped onions. OK, sorry, I lost myself for a minute there. OK, so, you got your box of Castles...so, you know, eat a few and put the rest in the fridge...you're making this stuffing tomorrow. Alrighty, it's the next day and your Castles have been settling and really sealing themselves together so take 'em out and break 'em up into little pieces into your pan. Then add chopped celery (a couple'a stalks), about 2 teaspoons of sage, two teaspoons of thyme, two teaspoons of black pepper and 3/4 cup of chicken broth. You can just stuff it in the turkey (Safety tip: make sure you stuff cold stuffing into a cold turkey to avoid the salmonella) or bake it along side the turkey (what we did) at 350 degrees for about an hour. Mmm! 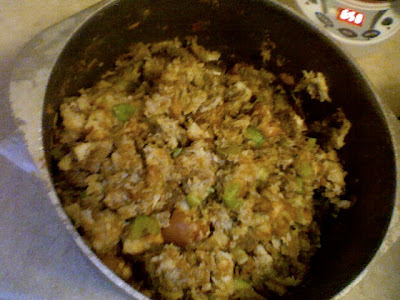 If you like stuffing, you should like this because it tastes like great stuffing. If you like White Castles you're going to like this because it's all a good Castle should be...oniony, steamy and savory. If you like White Castles and you like stuffing...you're going to looooooooooove this. With the turkey gravy...oh my gosh! Our family is in Kentucky. We are here on grace alone. Some friends here did a facebook campaign to raise money and a generous donor in California paid for the rest of our tickets here. When I saw the best times to fly and that the dates lined up with Andrew Peterson's Behold The Lamb Of God concert at the historic Ryman auditorium in Nashville, I thought, "That's a nice thought but it'll never work to get into town and we'll never afford tickets for all of us!" Then, another supporter gave us money to do something special with my Sister and her kids. To say they have had a rough year is an understatement. Then I thought, "Well, the money's there now but there is no way everyone's schedule will line up!" Then, I talked to my Sister about it and everyone got off work and school and we even secured free hospitality in Nashville. Then I thought, "There's probably no tickets left." So I went to the Ryman website and sure enough, they were sold out. Then, I emailed Andrew Peterson. Then he told me to contact his management. Then they called me immediately and released 11 tickets for us to be able to go. Then my credit card didn't work. Then they said the machine had been acting up. They were fine for me to just mail a check! I couldn't believe it worked. I just kept waiting for something to go wrong and it never did. It was such a good show. A dream come true. And they ended the night with us all singing together “Oh Come Let Us Adore Him...” and then Andrew started us singing “Praise God from whom all blessings flow, praise Him all creatures here below, praise Him above ye heavenly hosts, Praise Father, Son and Holy Ghost. Amen.” And by that time, the stage was empty and the only star was Jesus. The very next day, we went to another concert at Dad’s nursing home. It was so good to see him. There he was, sitting out with all the others waiting for the Christmas party to start. His face was priceless when we rounded the corner. We were the biggest stars in the world to him. We sat and listened to a small choir from a local church. Dad is in advanced stages of a dementing illness that has stolen much of his ability to talk, walk, remember and care for himself. 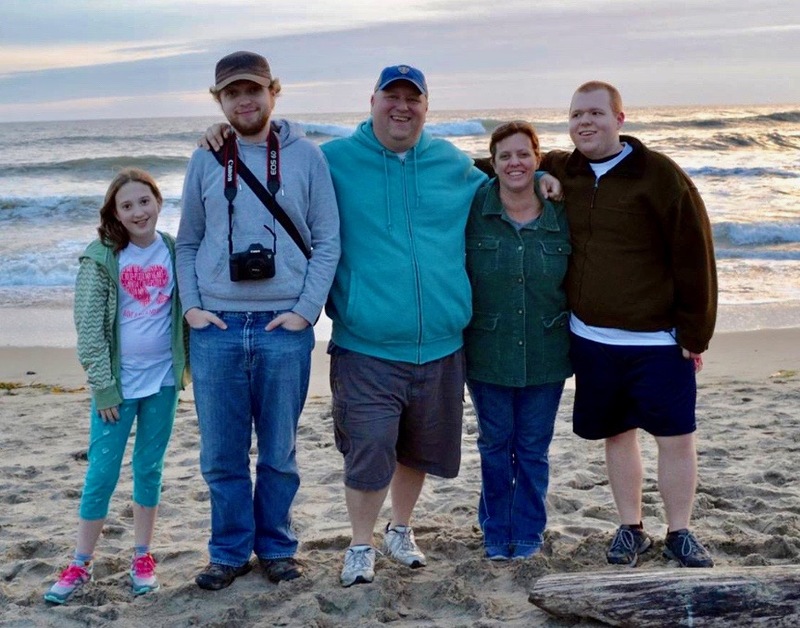 Recently, he got to the point where he needed more care than family could provide. The choir director turned to intro the 3rd song and shared from his heart about Christmas. Then they sang. Then I noticed Dad was singing. There is no music, not even music at the Ryman, that is better than listening to a little choir with beautiful hearts sing to all of us in that nursing home about the joy and spirit of Christmas. It was so good to just be in that audience and be the honored recipient of such a regal gift. It’s too much. We had to turn that kind of glory back to God and sing to him ourselves. He has made this time possible. Again, the only star is Jesus. We trust that you are resting in hope, peace, joy and love this Advent season as we reflect on Christ's coming to the earth as a baby, his coming into our lives as Savior and his coming again to make all things new. I'm writing this as we prepare to make the holiday trek to Kentucky to spend the season with my sister, her kids and my Dad. This was made possible by generous donors on both sides of the country. We are so thankful for God's provision through his people. Many of you know that my Sis and Father have both faced huge battles this past year and it is extra special that we get to share Christmas together. Airport Soccer - I have been weekly walking with my friend Jeff for probably two years now. We became friends through a local seminar for city ministries. Jeff is a part of a group from a downtown church that is trying to engage our impoverished airport community with ideas of development. They meet and work with neighborhood leaders. This is the neighborhood where some of the families we have met on South 9th Street landed when they got out of the motels. We are still in relationship with these families and this month I was able to take them to the Airport Soccer Tournament. This was a fun way for neighbors to spend time together. I went to just take some kids but Jeff recruited me, who knows nothing about soccer, to be a referee! You can see pictures from the day by CLICKING HERE. Stella's Birthday - Stella is 4 years old! Her big day is December 6th Some pictures from her party HERE. 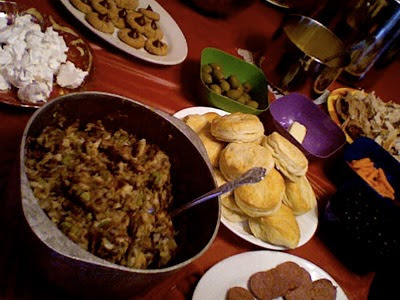 Prayer - We are hosting a Christmas party tomorrow night (Dec. 15) on South 9th Street with a local church youth group. They are bringing coats, gifts, cards, food and carols to fill up the street with cheer! Pray for friends on 9th Street to be safe, find recovery and hope. Please pray for the Sustar family on staff with us. They are gearing up for a 3 month family trip to serve with our partners in Thailand at Compasio. They need about $1500 still to cover their trip. Pray for fellow YWAM Modestan and friend Aaron heading back to Canada for the holidays. He has some issues still to be cleared for his legal status in the US. Please pray for safety and that God will make us a blessing to our friends there. Pray for our upcoming travels. We'll be in Kentucky until January 6th. Support - If you would like to support our work financially, all donations are tax deductible when made out and sent to: YWAM / P.O. Box 3000 / Garden Valley, TX / 75771-3000. 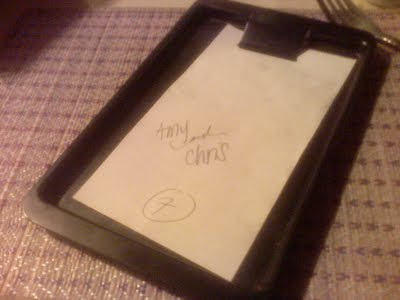 Our name must not appear on the check but include a separate note stating the gift is for the Whitlers in Modesto, CA. Josh and Sam vs. Food from Chris Whitler on Vimeo. He approached me with hesitation because we don't quite know each other. He has unusually bright eyes for someone stuck on South 9th Street. Most who live there wear their years like an old, heavy coat that's too big. He does not. There is some light and a little hope. He pulled me over out of her earshot to ask me a question. "Hey, I was wondering something. I missed her birthday, it was a while ago, and I was wondering if you guys would be able to help me get a cake for her?" They are stuck right now. Stuck down on 9th. Stuck because they don't see a way out. Stuck in addiction. Stuck because they choose to be. Stuck from ignorance. Stuck from fear of the unknown. Stuck because it's all they've known for years and years. Just stuck. They live in a motel. Everyday they survive. But, they have a plan. It is a broken plan. It's a bit dysfunctional, but it is a plan. And they are working it for what it is and things are getting a little better. He really wants to get her off that street. She's been on 9th street for around 12 years. They have been years of abuse, soul-tearing violence and addiction. It is really hard on South 9th Street. 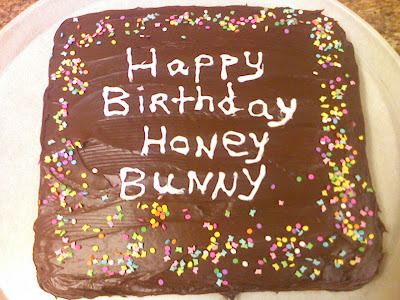 "It has to be chocolate and I want it to say 'Happy Birthday Honey Bunny,'" with a bit of an embarrassed smile. "Can you help me?" I told him that I thought I could and we made our scheme. "We'll be right here Wednesday at noon. If anything comes up, call me." I called a woman in our church that likes to bake and who could actually write on a cake and have it be legible. She happily accepted the challenge. "I'm not professional, it won't look like at the store." It was beautiful. We picked it up and headed over to our spot on South 9th. In our work, 6 times out of 10 something goes wrong. People can be difficult to find and a little hard to pin down. Planning can be sketchy as most days blend into the next. And things happen. We usually set a time for how long we'll wait for an arranged meeting to materialize. We decided we'd wait 20 -30 minutes. Right around 12:05, she walked out of the mini-mart and was coming past our van. I got out and said hello. He wasn't with her and I didn't know if I should say anything about our surprise so I made some small talk. She smiled, "Ok, I know there's a surprise...what's going on?" I laughed and told her to get in the van and we'd go down to the motel and find him. She got in the front seat and Aaron started driving. I pulled out the cake from the back seat and set it in front of her eyes. 'Happy Birthday Honey Bunny' She squealed and started to cry. Back at the motel parking lot, she jumped out of the van and invited everyone there to her "birthday party". Everyone gathered around and we sang to her. She cut her cake and served her guests. "Thank you for coming to my party" as she handed each friend a piece. And for a moment, she was laughing like a girl. We were honored to be guests at such a party. Stella wasn't feeling her best. It's Sam's year to put up the star.